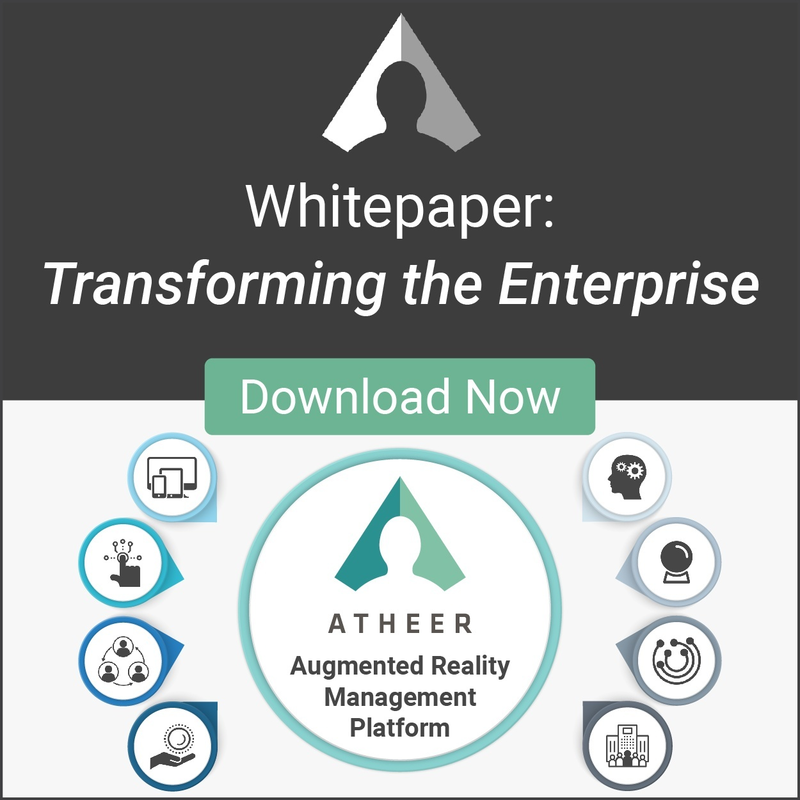 Measuring the effectiveness of an enterprise Augmented Reality solution may not seem straightforward, but it's vital to do so if you are going to move beyond AR pilots, trials and testing. However, many organizations can find it difficult to quantitatively measure effectiveness. Here are some ideas on how to tackle that challenge. AR allows organizations to transform the way they interact and operate with the world around them. From carrying out maintenance and repair activities to remotely troubleshooting issues – the use cases for AR are broad. 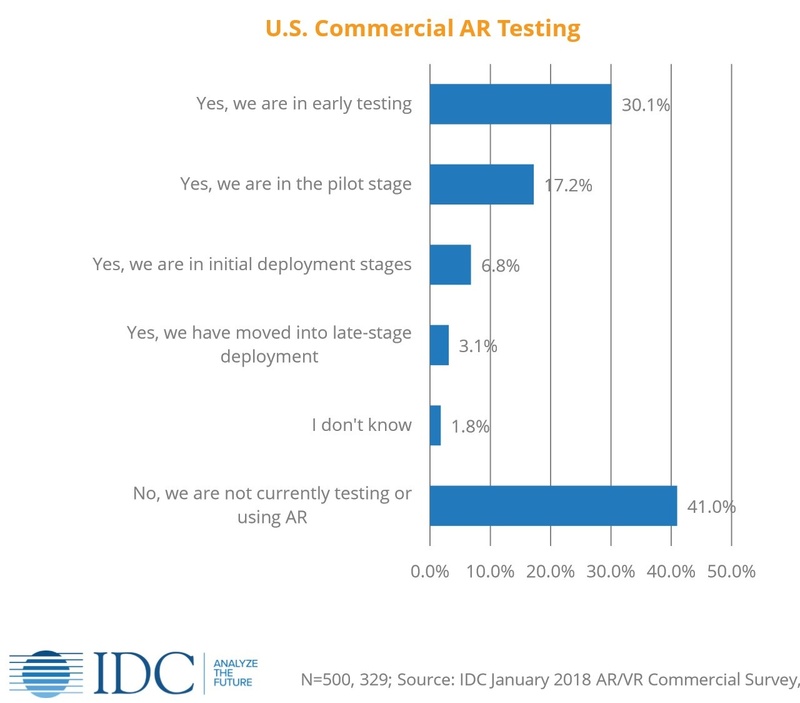 According to an International Data Corporation (IDC) survey in January of 2018, more than half the companies surveyed were conducting some form of commercial augmented reality testing – and more than 25 per cent had moved beyond early testing. Logistics companies are making the most of AR to optimize their warehousing and transportation activities. They are using AR to enable pick-by-vision; the AR-driven vision picking software enables real-time object recognition, barcode reading, and navigation that enhances the picking process. In the insurance sector, AR offers a host of capabilities: allowing agents to document risks, get immediate access to prevention strategies, and carry out damage assessments for claims, assess data security and privacy risks. Other key use cases include AR implementations designed to improve field service resolution times, reduce downtime at a factory, get planes back in the air faster and more safely, carry out quality inspections more accurately or reduce the error rate on goods “picked and packed” in warehouses for delivery. All of those are clear use cases with tangible benefits that you can measure in real business terms, regardless of the technology used to do the job. Measure productivity gains: The efficient running of the entire supply chain can determine the success of many an enterprise. Hence, every operation in the supply chain - including production, warehousing, picking, sorting, shipping, and delivery - must be carried out with utmost precision and accuracy. An enterprise AR solution can help in improving the efficiency of processes and provide end-to-end visibility across the supply chain. If your AR solution is able to substantially reduce errors and improve productivity, you can say for sure it is effective. Track issue resolution times: In a world where running operations 24x7 is crucial for competitive advantage, solving service issues before they become a major roadblock is a key necessity. AR on the field has a direct impact on the time to solve issues. For example, if a critical piece of machinery on the shop floor breaks down, there is a huge cost associated with the production grinding to a halt. Sending technicians onsite to solve the problem is not only time-consuming, but also costly and not always effective. With an AR solution, experts can identify the problem or issue remotely and offer the best guidance to fix the issue much quicker. Quick resolution of issues and the ensuing reduced cost of downtime is a great measure of the effectiveness of an enterprise AR solution. For instance, in the energy and utility industry, field workers wearing AR-equipped safety helmets are able to seek documents, process guidelines, and visual aid and direction from experts, and reduce downtime from unplanned problems. Quantify cost reductions: Inevitably, an enterprise AR solution also helps organizations save money. If your AR solution enables your enterprise to reduce costs, it’s a great measure of effectiveness. For instance, some airlines are exploring the use of AR to provide immediate, on-the-ground support to maintenance, repair and overhaul crews. The promise of AR is enabling organizations across all sectors to improve their business outcomes.